The 2D Kit Builder is fully customisable and packed with loads of options. 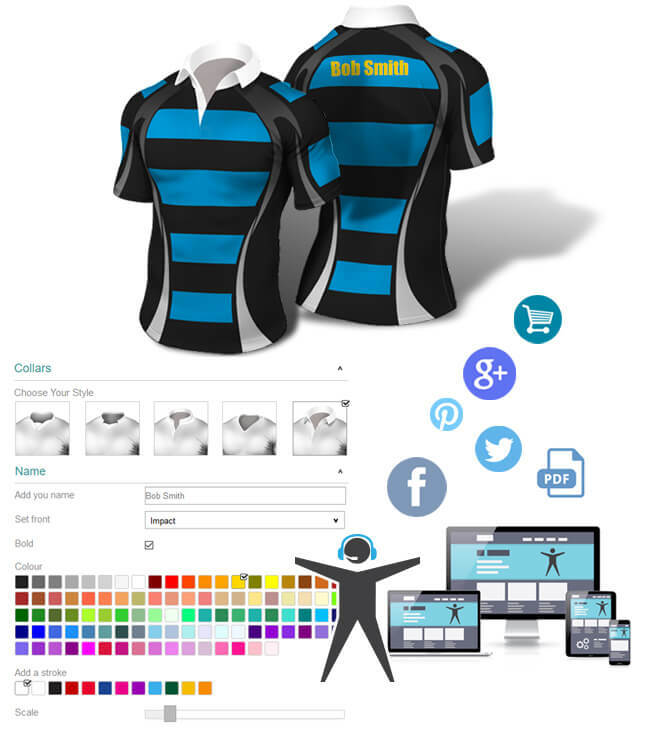 Kit Builder has been designed to allow you to create and build your own range of clothing online for your clients to get a quote or to purchase. There is no limit to the number of Categories and Garments you can add.